The loan car arranged for me by my insurance company was delivered today…………….and my car taken away for repair. Apparently, I’ll get a phone call on Monday to let me know what the plan of action is and how long it’ll be before I get my car back! 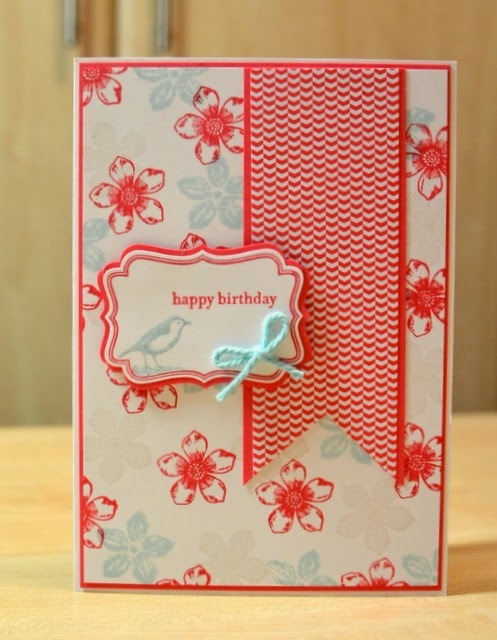 In the meantime…………..as well as doing the step card at tomorrow’s workshops, we’ll also be making this one. 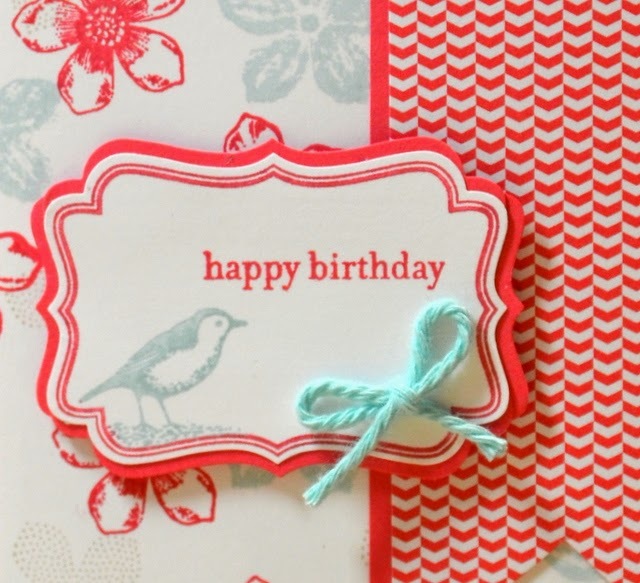 The main two features of this card is that I have created my own “DSP” by stamping and I have painted the sentiment stamp in two colours using marker pens. I have loved colouring ever since my childhood and still find it amazingly relaxing. The 3D project tomorrow will be making an envelope for the step card as it is not a regular size. We will be using the Stampin’ Up! Envelope Punch Board as the easy way. I will also demonstrate how to make envelopes using a score board that has a diagonal plate. The problem with this method is, I haven’t worked out the formula for calculating the paper size needed and the positions of score lines.